I have been over with my mum and sorting out dusty boxes, one of which turns out to have been sorted well before I was born. 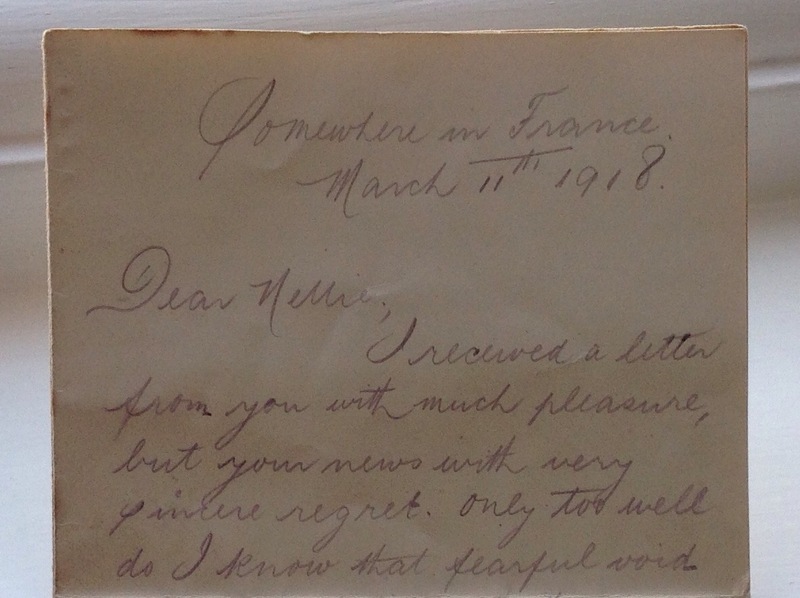 It contains letters from a century and more ago. 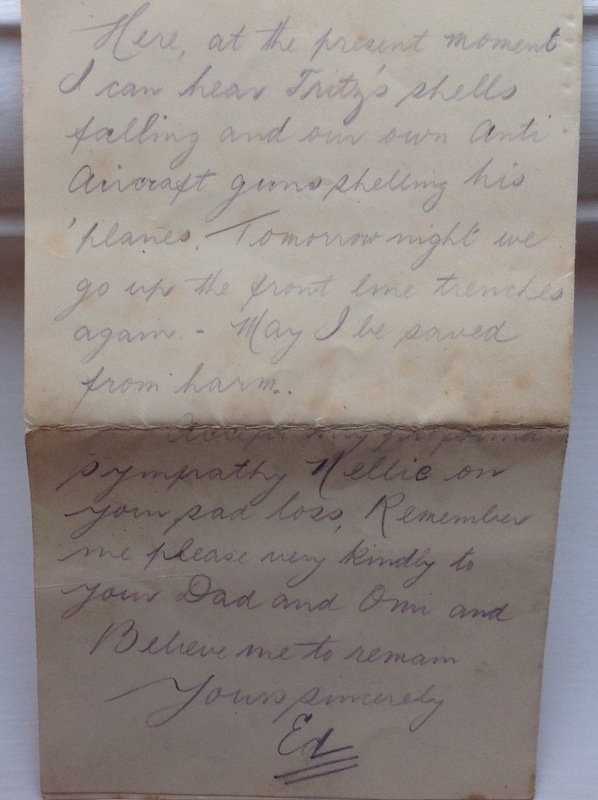 Who the people are is now mostly long gone, but it was deeply moving to find one pencil-written to someone in the family from ‘Ed’ on the frontline in France in the First World War. If I close my eyes, the world turns and I try to imagine those shells. I open my eyes and the world returns. One of the great qualities of the co-operative model is the extraordinarily flexible way in which the simple idea of ownership by those involved in the business can be brought to life. It is true that there are many levels at which you can co-operate in a business – to be owned by your customers doesn’t mean that the workplace is a participative one, just as to be owned by your workforce doesn’t mean that your services are always shaped and led by customers. But the five innovations I would pick out for 2015 all have this simplicity at their heart – they offer a simple but radical shift in the way of doing business. 1. Co-operative education. Co-operation is a far richer and more effective organisational model for learning than competition. The extraordinary success of around eight hundred co-operative schools in England, plans in Wales following the 2013 Commission on Co-operatives and Mutuals and the emergence of ‘schools of co-operation’ in Scotland, is only a start. There is a strong case, if regulatory barriers are removed, for nursery schooling owned by parents and teachers, and for new, cross-border co-operative models of online learning and, in time, universities. 2. Agricultural co-operatives. There is a spring in the step of farmer-controlled businesses across Europe and beyond, as they face up to the giant commodity conglomerates and the result will be of enormous importance for the future of world food markets. At the local level, this can mean new opportunities for farm to farm co-operation and local food links or an upgrading, in governance and strategy, for existing co-ops, but it will also mean stronger and closer cross-border ties, with new forms of member capital and better access to markets overseas. 3. Unions for the self-employed. The idea of co-operative models for freelancers has been around for a while, but in business, timing is everything. The rise of self employment, much of it in the form of a ‘Precariat’ in which the traditional benefits of what James Robertson called ‘own work’ (in his 1980s book, Future Work) are balanced by risk and marginalisation, makes this a model for our times. For the self-employed, unemployed and for unions, this has a clear purpose and meets a clear set of needs. 4. The real sharing economy. The predatory nature and tattered ethics of Uber has helped to expose the fact that the emerging sharing economy has yet to innovate in ways that allow for shared ownership rather than shared service. There is experimentation in new forms of open co-operatives that can achieve this, but to be successful, I would like to see a model emerge for a mass user / consumer buyout as an alternative to the finance of venture capital or corporate buyout. Minecraft, which sold out last year, had so much community ownership that it ought to be a co-operative and it would have been better safeguarded if it were. We need an online model for community buyouts. Wikipedia’s doing it for donations, our community shares work for local enterprises, existing consumer co-ops are experimenting with sharing services, but in 2015 the time is right for a better sharing finance platform for sharing economy businesses. 5. Fair care. With a gently ageing UK population, when it comes to social care, there is a recognition now that you only get the real benefits of dignity plus cost saving if the care user and the care workers are properly engaged. For a while, this has been called ‘co-production’ but it hasn’t yet had an organisational model to embed this. In 2015, we will see the emergence of Italian-style social co-cooperatives, starting in Wales, but spreading, that are businesses that give a voice to users and workers. These are 360 degree co-ops, in that they offer democratic ownership to all the multiple stakeholders involved. These are my five, and I’d welcome hearing yours. Later this year, Co-operatives UK will publish with our member New Internationalist a book on co-operative innovation. Under the draft title of “Co-operative Advantage”, this will look at how, in an age of inequality and stuttering or declining productivity, we see that up-close ownership can help transform the UK economy. Happy new year! It is going to be a hopeful and purposeful 2015 for the UK social economy.